There are new owners, a new name and a new philosophy at Medford winery. 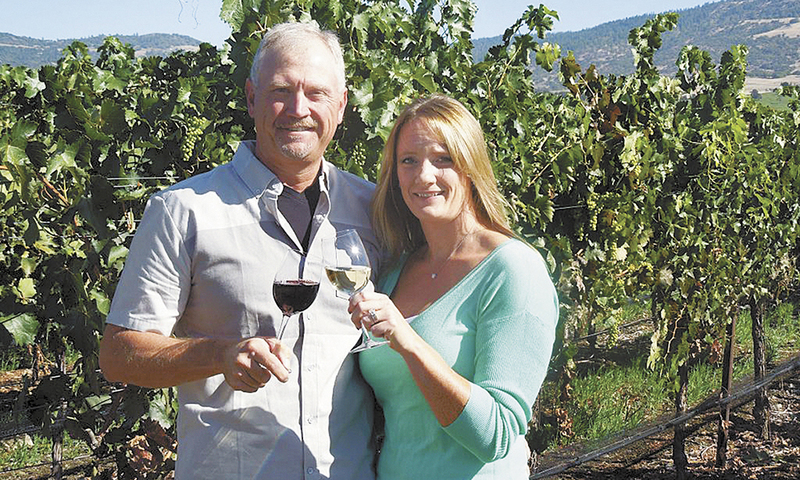 There are new owners, a new name and a new philosophy at 2Hawk Vineyard & Winery in Medford. Owners Ross and Jennifer Allen bought the property in the spring of 2014 from original owners Rick and Nisha Jackson. Ross Allen comes from a California farming family and he still grows pistachios and almonds in the area around Fresno and Coalinga — he was a leader in bringing sustainable farming practices to that area. Ross also has a palate for good wine, so when the 2Hawks property came on the market, he was intrigued. He had the soil and drainage on the site analyzed, determined what was and what could be grown. Ross being a hands-on vineyard manager — with input from Chris Hubert of Results Partners — he made his mark in the 15 acres currently planted to vines. The name change — from “2Hawk Winery” to “2Hawk Vineyard & Winery” — puts “vineyard” first, reflecting Ross’ emphasis on growing. There is also a label and re-designed website. Linda Donovan of Pallet Wine Company is 2Hawk’s winemaker for the 2014 vintage. Donovan and John Guerrero from Valley View made the winery’s earlier vintages. Jennifer “Jen” Allen brings to 2Hawk her experience in marketing and customer service in the tasting room and beyond. The rustic feel of the original tasting room has been changed to reflect a more elegant ambiance. She redesigned the food menu, too, with an emphasis on small plates, salads, desserts and small pizzas from Rise Up Bakery. 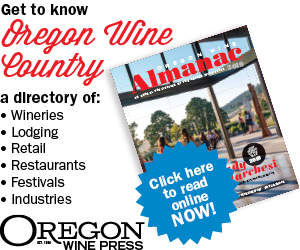 The Allens plan to build a winery facility on site and hire their own winemaker within 24 months with a goal of 30 acres of grapes. Roberta Kent is a freelance writer living in Ashland. Reach her at rbkent@mind.net.